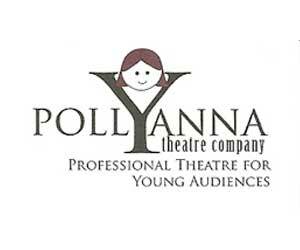 The Pollyanna Theatre Company (PTC) is an ensemble of professional theatre artists who create and perform Theatre for Youth for children and their families. Under the direction of Producing Artistic Director, Judy Matetzschk-Campbell, Ph.D., The company has established a 4 play in-house production season (at the Rollins Theatre – Long Performing Arts Center) and an extensive school touring schedule. Pollyanna is dedicated to commissioning and developing new plays, working with actors, designers, and playwrights to craft the highest quality scripts possible. PTC has produced over 25 original plays for young audiences. ——- Activities include an ongoing relationship with Ballet Austin, creating and presenting a new dance/drama for young people each season. Pollyanna contracts with the City of Austin’s Solid Waste Services Department, providing recycling plays to schools. Community partnerships with organizations such as Extend-a-Care (one of Austin’s largest provider of after-school /summer care for children) have made it possible for PTC’s audience to grow and for the company to thrive. In a typical season, PTC performs for over 22,000 children in Austin and throughout Texas. The majority of our audience is 4 – 11 years of age. Through the public schools, Pollyanna is reaching a broad segment of underserved children and families.